Spend three days with your family and friends exploring this hidden gem in the Arkansas River Valley. Aspen ridge follows the eastern border of Brown’s Canyon Wilderness Area. The landscape offers rolling hills through Ponderosa Pine and Aspen forests. 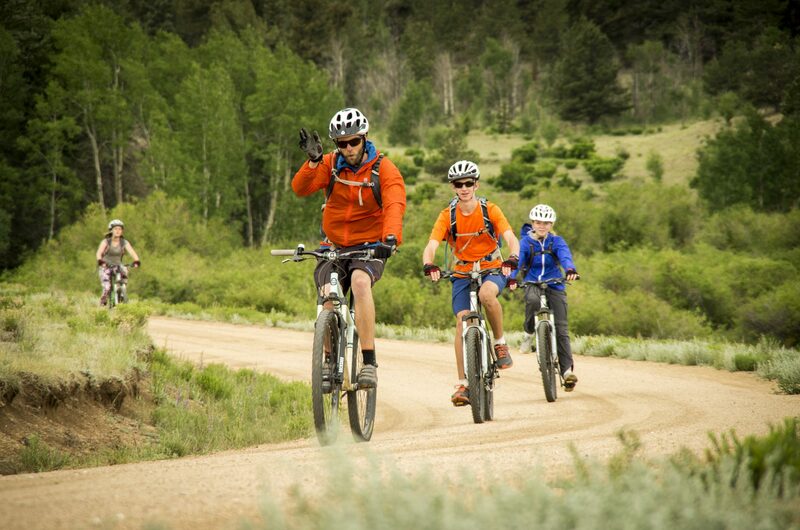 Your trip will provide over 50 miles of biking on dirt roads and double track with camping at Castle Rock Gulch and Badger Creek. We shuttle all your gear to your campsite so that you can enjoy the ride! This is a beginner ride but does involve some sustained uphill climbing and downhill maneuvering. All meals provided. All equipment provided or feel free to bring your own biking or camping gear.